There is a view that the priorities of an individual are a driving force behind an individual’s decisions. Does research measure symptoms or does it measure causes? Researchers have been trying to research the personalities of consumers for more than half a century. Personality is however a complex, fluid and contentious subject, which is difficult to pin down. Products and services can be packaged in a manner that is aligned to consumer priorities, which are the most important driving forces of any consumer activity. Marketers of any brands and product categories can serve their customers better. 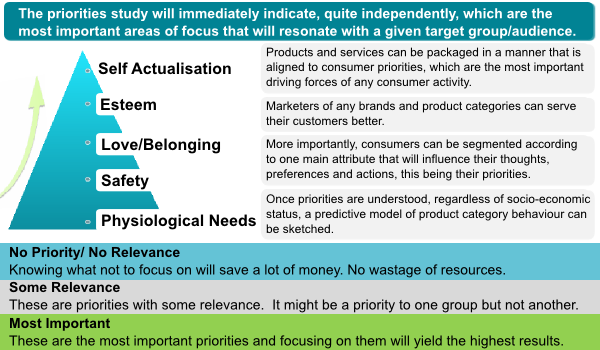 More importantly, consumers can be segmented according to one main attribute that will influence their thoughts, preferences and actions, this being their priorities. 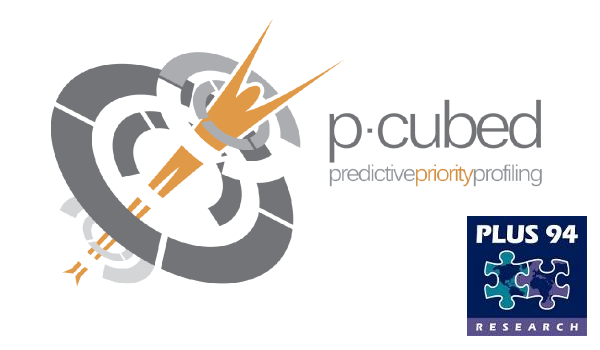 Once priorities are understood, regardless of socio-economic status, a predictive model of product category behaviour can be sketched. 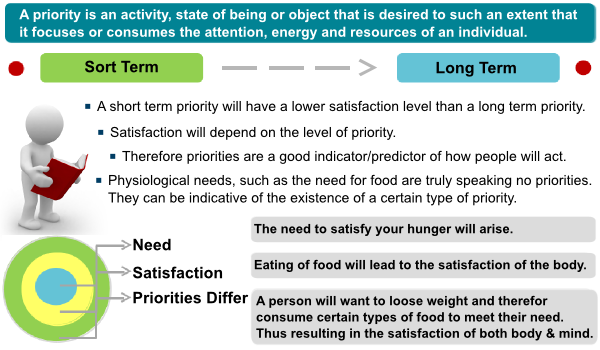 Expressed priorities of an individual could possibly be an outlet for predicting behaviour without being bogged down with the complexities of personality. Clients will receive their traditional research with the added benefit of a more comprehensive understanding of their customers and the way they make decisions. Researching priorities does allow for new insights to emerge which are not so apparent from mere demographic analysis. The resultant segments are distinct, easy to understand and to action, thereby creating greater empathy between the audience and the marketer.